Do you ever feel overwhelmed at the grocery store? You’re walking down the aisle trying to make the best decisions, but there are so many names listed on food labels that you’re not familiar with. 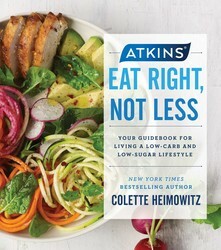 Colette Heimowitz, author of ATKINS: EAT RIGHT, NOT LESS, shares fifty other names for sugar and reveals which foods have a bigger effect on your blood sugar. How much do you really know about hidden sugars? 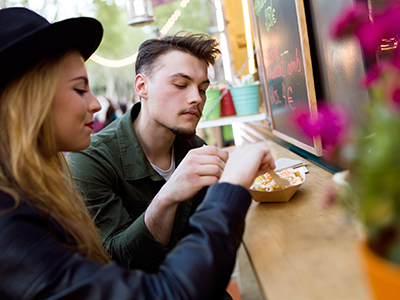 To get a better understanding of hidden sugars, let’s start by testing your knowledge of which foods have a bigger effect on your blood sugar. You might be surprised! Which Has the Bigger Effect on Your Blood Sugar? They both have the same blood sugar–raising effect as 6.3 teaspoons of sugar. The macaroni and cheese has the same blood sugar–raising effect as 11 teaspoons of sugar, compared to 9 teaspoons for the chocolate bar. The corn flakes have the same blood sugar– raising effect as 6.6 teaspoons of sugar, compared to 4 teaspoons for the sports drink. The raisins have the same blood sugar–raising effect as 9.3 teaspoons of sugar, compared to 9 teaspoons for the chocolate bar. They both have the same blood sugar–raising effect as 7.5 teaspoons of sugar. Of course, you know that tempting treats such as donuts, cookies, and candy contain sugar, but more sugar than you know is hiding in plain sight everywhere, even in foods that are often deemed “healthy.” In fact, four out of five Americans have no idea that added sugars, carbohydrates, and natural sugars all cause your blood sugar to rise and, in excess, lead to weight gain, prediabetes, and type 2 diabetes. Eating sugar and excessive carbohydrates that convert to blood sugar in your body leads to obesity, but studies also link excess sugar consumption to an increased risk of cancer, diabetes, gastrointestinal problems, eye diseases, osteoporosis, coronary heart disease, and other inflammatory diseases. Too much sugar may also affect your brain and could be associated with poor memory formation, learning disabilities, depression, and even dementia. Overcome your sugar cravings in a few steps. Excerpted from Atkins’ Eat Right, Not Less by Colette Heimowitz. Copyright © 2017 by Atkins Nutritionals, Inc. Used by permission of the publisher. All rights reserved. As Vice President of Nutrition & Education, Colette Heimowitz is the driving force for nutrition information at Atkins Nutritionals, Inc. With more than twenty years of experience as a nutritionist, she has appeared on CNN, Fox News Channel, and MSNBC. Learn more at Atkins.com.